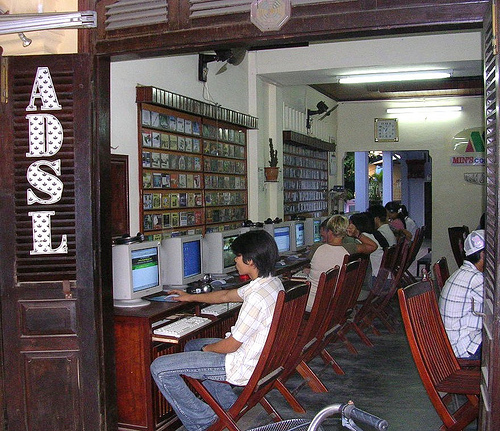 Will Vietnam’s New Internet Decree Ban Sharing of Online News? Vietnam’s new Internet decree made public on July 31 instantly generated controversy after it purportedly contains several provisions that would ban the sharing of news stories in various social networks. But the government clarified that the decree is aimed only at protecting copyright. The regulation will take effect on September 1. …internet services and resources, the management, provision, and usage of online information, the establishment of websites and social networks, information about telecommunication networks, online games, and online information safety and security. …information that is against Vietnam, undermining national security, social order, and national unity […] or information distorting, slandering, and defaming the prestige of organisations, honour and dignity of individuals. Article 25 requires the filtering of any information on the Internet based on the interpretation that such information is amongst the “prohibited acts” outlined in Article 5. Foreign Internet Service Providers will have to provide information about their users when requested by investigative bodies. According to the decree, individuals have the right to collect and share information on social networks. It stipulates that individuals are allowed to cite information and attach a link to the source information so other people can refer to the original, full information. The decree aims to protect intellectual property rights and the copyright of press agencies. In fact, many press agencies are concerned about copyright and author rights. Vietnam seems to be striking at social media and individual sharing rather than fixing the cause of the problem: content piracy by lazy news sites. Surely media industry regulation would be a better move than this kind of ban. If it takes effect, Vietnamese will be permanently deprived of the independent and outspoken information that normally circulates in blogs and forums. The decree is both nonsensical and extremely dangerous. Its implementation will require massive and constant government surveillance of the entire Internet, an almost impossible challenge. But, at the same time, it will reinforce the legislative arsenal available to the authorities.